Describe this magical setting. What vocabulary could you use to convey the vivid colours? What would be the first thing you would do if you landed on this island? Who or what do you think lives here? 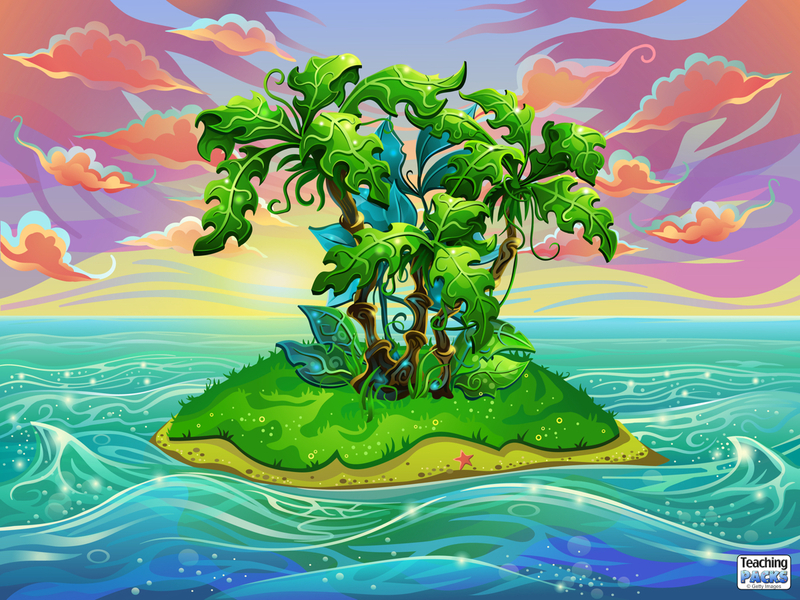 What do you think you would be able to see if you were standing on this island? Make a map of this island. What features could you include? Perhaps you could make a treasure map! Collect some leaves and use them to print pictures. Starfish are fascinating creatures. Use this site to research them and make a PowerPoint presentation about them.